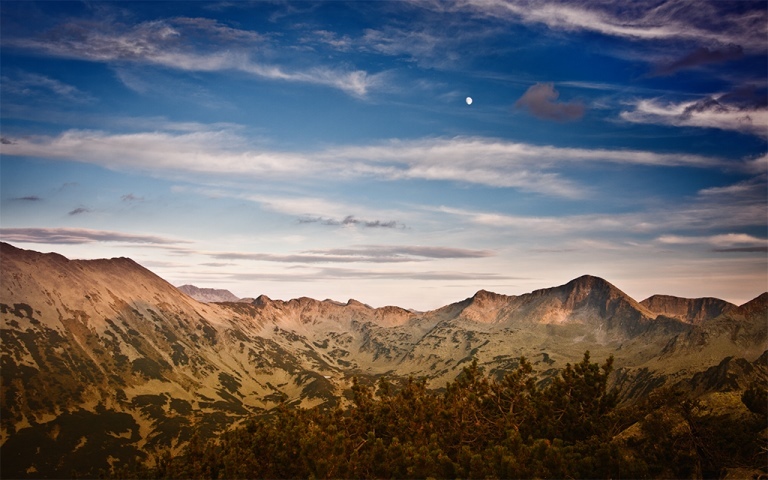 Bulgaria's Pirin Mountains are a relatively compact range which lies at the western end of the chain running along the country's southern border-areas, which includes the Rila and the Rodopi. Its core is now a World Heritage Site. The range is mainly old igneous/metamorphic rock, and with its high peak, Vichren, at 2,915m, it was once high enough to be under ice-age icecaps, which have shaped its classic glaciated landscape of cirques, sharp peaks, huge cliffs, lakes, high pastures and deep valleys and moraine fields. It can be orientated around a main central ridge. As a remote(ish) area, and protected since the 1960s, the range is rich in animal and plant life (quite a bit of it endemic): it is famed for its conifer forests in particular, and is home to bears, wolves, deer and chamois, as well as 159 bird species. 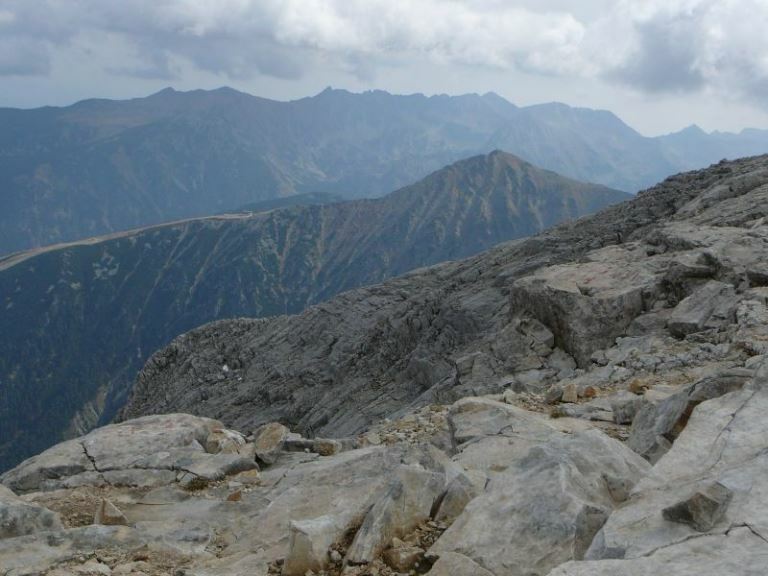 Sections of the E4 international route cross the Rila and Pirin ranges, then run south into Greece. You can make a 60km traverse of the range north to south in around 6-7 days. 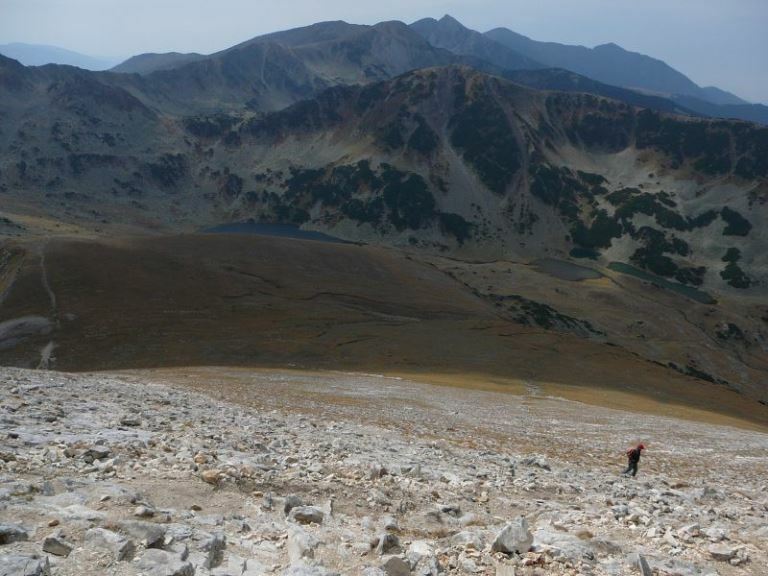 While there is a lot of climbing/descent, it is not excessively tough. This can be walked hut to hut ? but plan your route carefully. A guide may be advisable. Bansko is the main base. 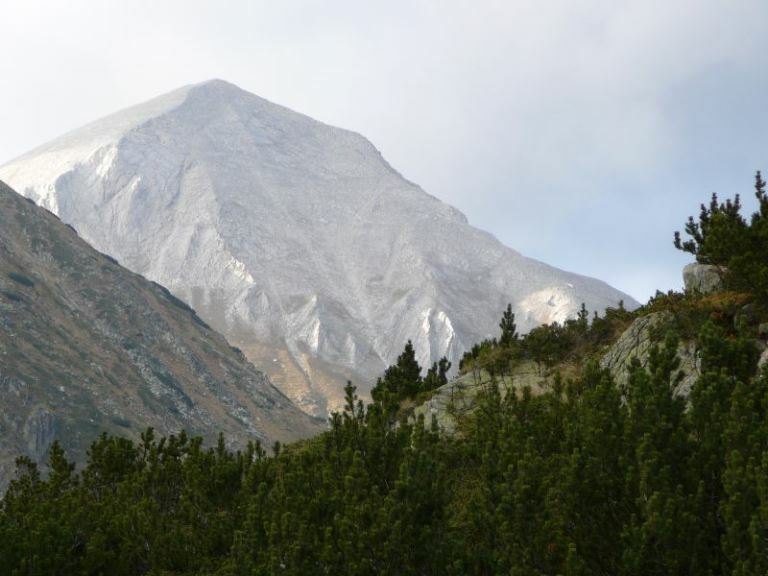 Mandrat is also a good base for walking in the Pirin. There are 8 larger refuges in the park, and some smaller huts.